Small map where was built the piano that made by a Redstone mechanisms. You can play it using music discs. 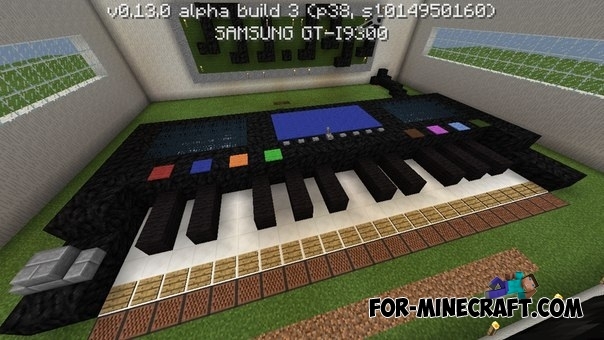 Musical Instruments mod for MCPE 0.11.1 / 0.11.0You will have the piano to game. You can play any music in the MCPE 0.11.1. This piano can be used as a musical instrument, and as home decoration.